Our dancers have expert understanding of the expressiveness, glamour, femininity and sensuality within Bollywood. 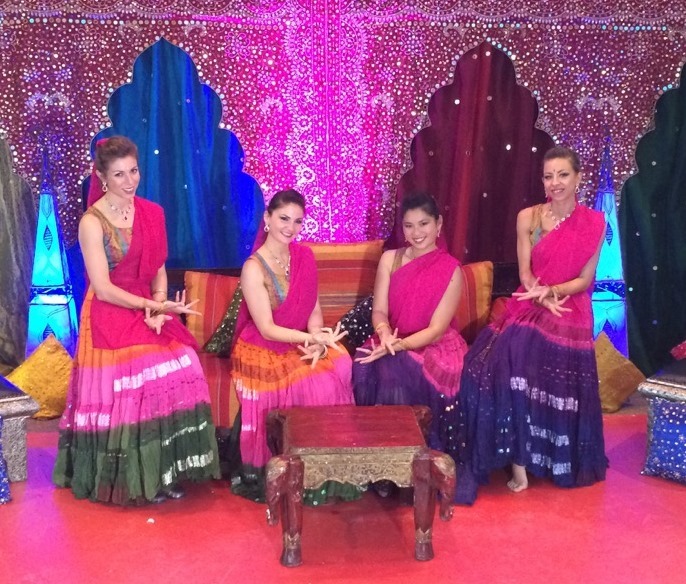 We perform classical, modern and fusion Bollywood and have experience performing at a large variety of events such as weddings, henna parties, promotional events and themed corporate parties. Our dancers also won 2nd place in the Bollywood category in an international competition. If you are looking for an exciting, action packed and energetic dance performance to spice up your Bollywood themed event, look no further than Star Dancers UK. Our event entertainment can include meet and greets, guest interaction and workshops as well as our energetic and beautiful performances. We can also provide a complete 'Dancers and Musicians' package for your event, with Dhol drummers accompanying our dancers. Contact us for more information.